We all love a good eyeshadow palette, especially a neutral one that we will get everyday wear out of. drooled over the UD Naked palettes when they were released. A palette that has all your everyday colours in once little place. So when I kept seeing Stila's In the light palette I knew I had to have it. 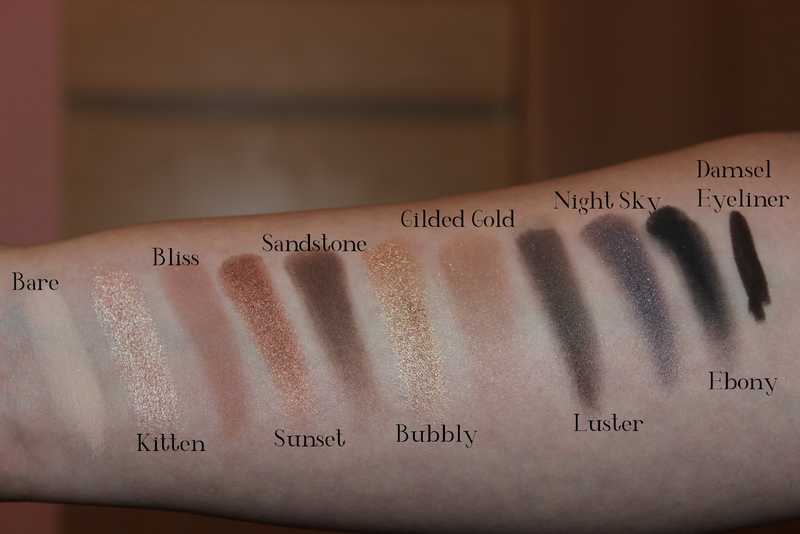 This palette comes with 10 neutral shades, ranging from shimmer, glittery and matte. A perfect mix of textures actually. Some of my faves are Kitten, Bubbly and Bliss, each shade has its own little perk but those are the ones I love the most. There are a range of shades to create a natural look, a fun shimmery look to add that extra bit of sparkle and there are shades to create a deep smokey eye look. Its like the perfect palette. The texture of the shadows are so buttery and smooth, which makes them super easy to blend and apply. The only thing I find is the shade Kitten is so shimmery it has a tiny amount of fallout but that's nothing a little bit of makeup remover cant fix. As for the pigmentation, well its simply amazing they are all super pigmented with just one touch, the only shade that doesn't really have that wow power is Gilded Gold. However the other shades are amazingly pigmented. The wear time is also really great without a primer you will get around 6-7 hours and with a primer an extra hour or two depending on what primer you are using. The palette also comes with a waterproof eyeliner in the shade Damsel which is a gorgeous deep brown shade. It is literally non budge able once on, it wont come off, well unless you physically remove it that is. Its also super creamy and very easy to wear on the eye without having to drag it around the eye. Overall an amazing palette that I have had so much fun creating all different looks. I will be creating some looks for my youtube channel. So stay tuned for that. I think if there is one palette you are going to buy this is the one you should get. Have I tempted you to put this on your wishlist? Great post, I love this palette! I'm obsessed with this palette! I love Stila's palettes. They are perfect for travel! I love the look of this, the colours are gorgeous!